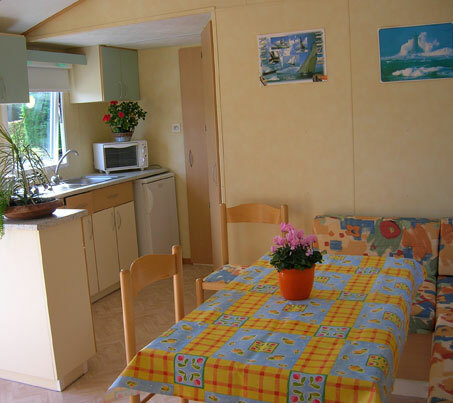 Rental : Mobile home MERCURE 27m² 4/6 pers. 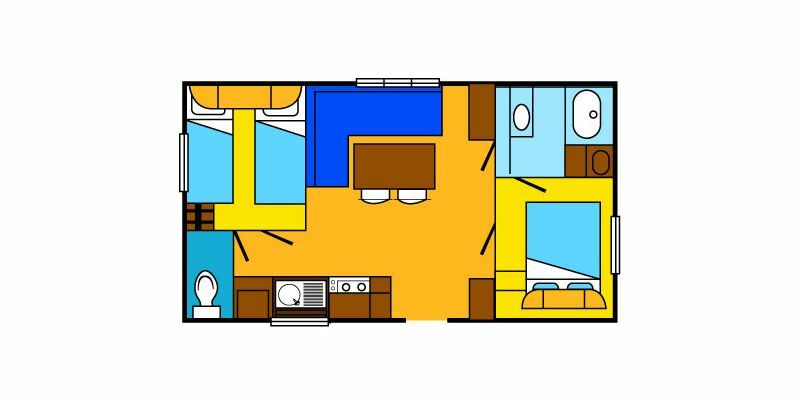 - A central living-room with breakfast nook (double bed settee). 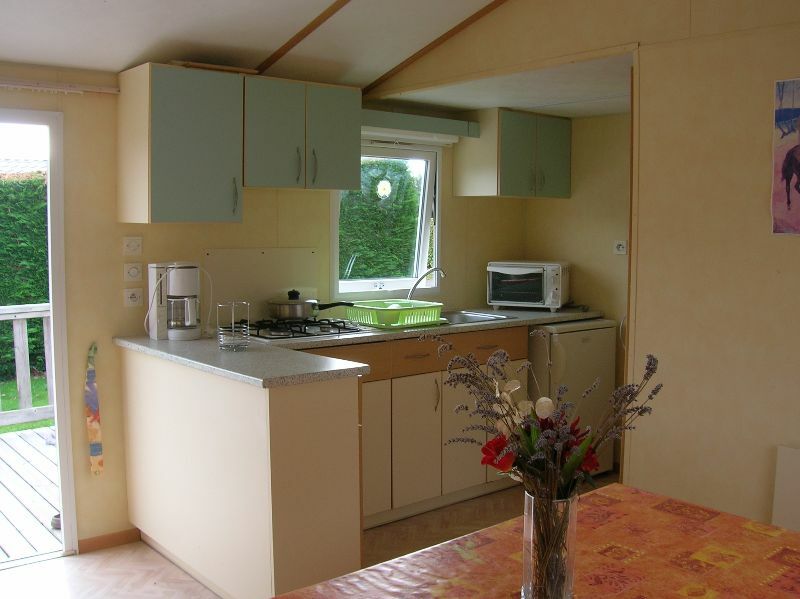 1 kitchen area (4-ring hob, mini-oven, sink, water-heater, fridge, freezer, many cupboards) 1 electric heater 2 separated bedrooms : 1 double bed (140x190) cupboards, wardrobe. - Adjoining door with the bathroom. - A bathroom (washbasin + shower cubicle). - with set of garden furniture, parasol, barbecue. Private pitch of 150m². 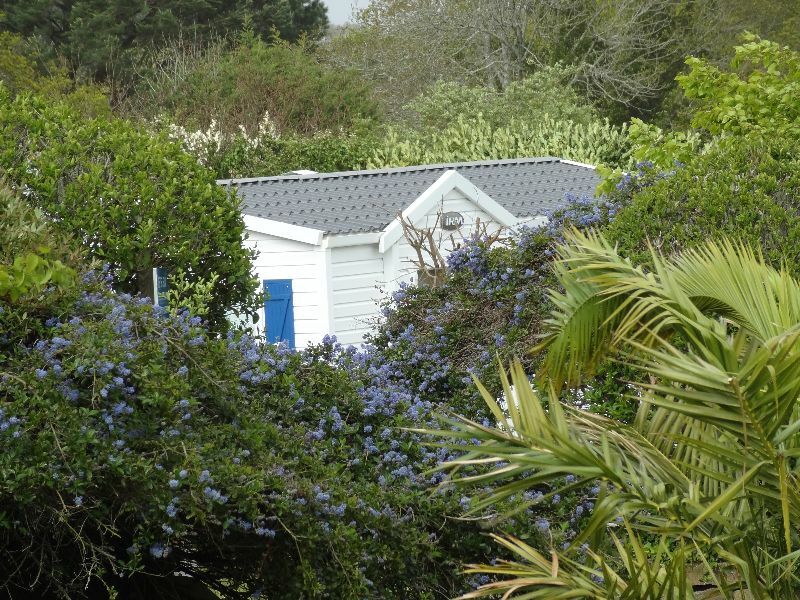 Equipment : tableware, electric coffee-maker, clothes airer, hangers, mat, blankets (2/bed) pillows, pillow cases and underlay, cleaning kit (vaccum cleaner available at the reception) .Sheets not supplied.